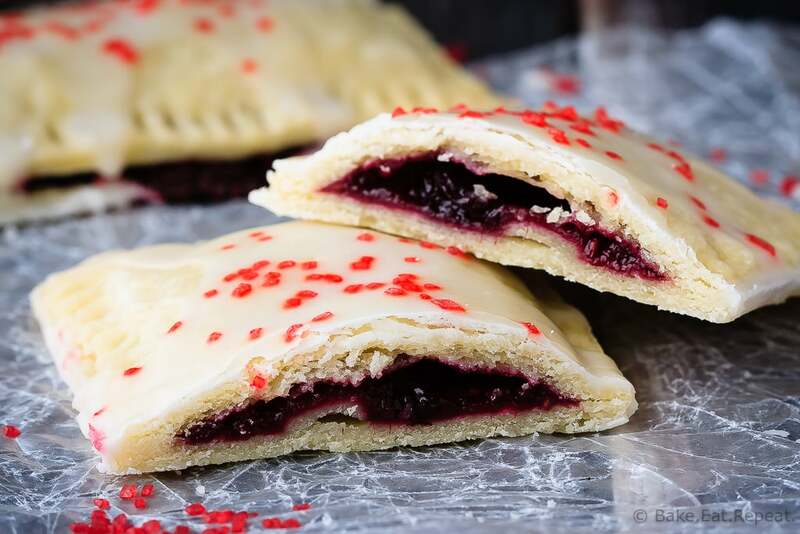 Homemade Berry Pop Tarts Recipe - Bake. Eat. Repeat. 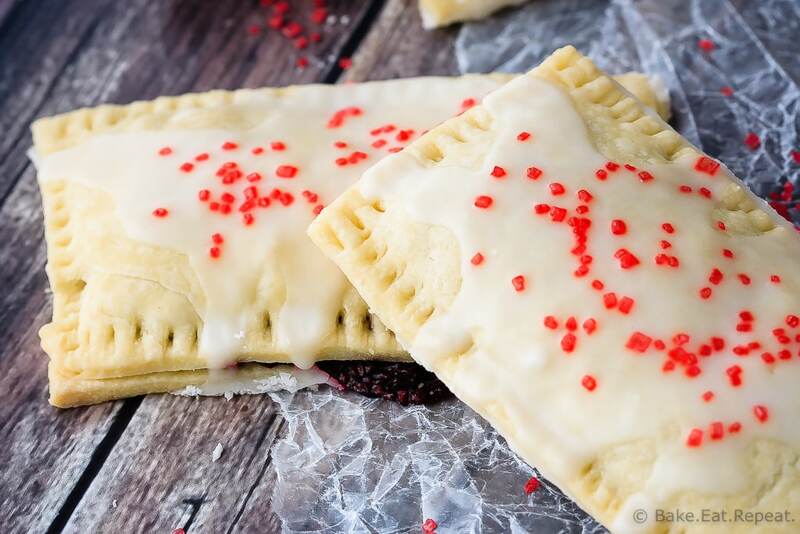 Easy to make homemade berry pop tarts that are better then the real thing. Flaky pastry, homemade berry filling and a sweet frosting – pie for breakfast anyone? So who else adored pop tarts growing up? Figured they were definitely an acceptable breakfast on the way to school? I know I can’t be the only one. Weren’t those things one of the best snacks that you could get? Basically it’s berry pie that no one had a problem with you eating for breakfast. How did that even become a thing? How is that breakfast? Except that these homemade berry pop tarts are about a million times better then the real thing. And that’s coming from someone that just said she was a fan. I’m not gonna lie, I would still happily eat a store-bought pop tart if you gave me one. No problem. And I would definitely enjoy it. But if you gave me the option of a store-bought one or one of these homemade berry pop tarts? I would pick the homemade one every time. These things are amazing you guys. Flaky pastry, homemade jam filling, and a sweet frosting – just like the real thing, but better. 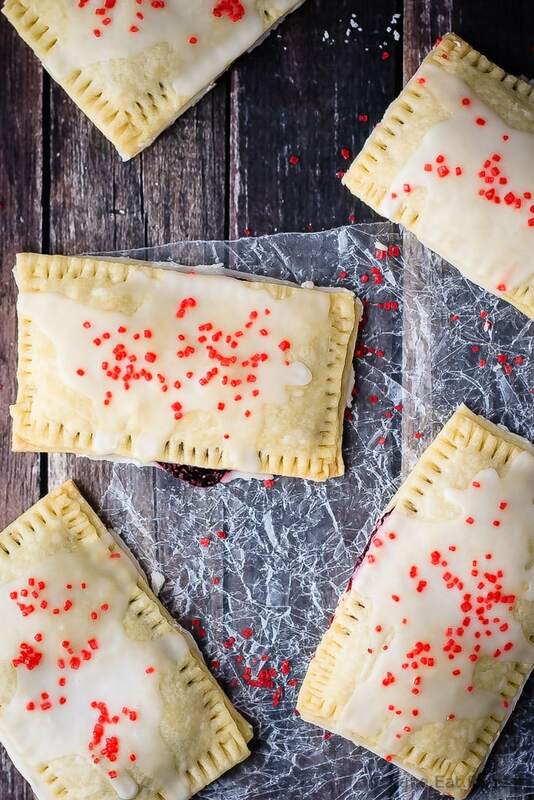 I’ve used both this perfect pastry recipe (uses half of that recipe) and the one below for these pop tarts, and probably prefer my usual pastry recipe, but both are great. Any pie pastry will work just fine though, so you can use your favourite. For this amount of fruit filling you would need enough pastry for a double pie crust. Pie for breakfast is still a great idea. I’ve also shared this Berry Pop Tart recipe over on Food Fanatic. Do you have to refrigerate it a second time? Will it come out differently if I skip it? You could skip it, but they might not hold their shape as well. Chilling the pastry a second time before baking helps the pop tarts keep their shape, and not shrink while they're baking. The taste shouldn't change, but you will likely get some shrinking if you skip the second chilling time. Even if you can just throw them in the freezer for 15 minutes while the oven heats up it will help with that! I will never outgrow a good poptart... especially when they can look this tasty! These look so awesome- can't wait to share with the kiddos! I know, pop tarts are awesome! Thanks Karly!